DAYTON, Ohio, Sept. 12, 2013 (SEND2PRESS NEWSWIRE) -- Dr. James Apesos, a noted Dayton cosmetic surgeon, has launched a new website at DrApesos.com, repositioning the practice's web presence to make it easier for patients to find information about procedures, schedule appointments, and receive personal medical advice about plastic and cosmetic surgery considerations. On the new website Dr. James Apesos is careful to explain the differences between cosmetic and reconstructive plastic surgery. "Patients seeking aesthetic enhancements should seek out surgeons with a proven track record in cosmetic plastic surgery," Dr. Apesos said. "Plastic surgeons may be excellent at reconstruction for functional purposes, but may lack the training, expertise and aesthetic sense to optimize the patient's cosmetic goals for their appearance." Cosmetic surgery is focused on enhancing aesthetic appearance of normally functioning features through surgical and medical techniques. Reconstructive surgery is the treatment of dysfunctional facial and body defects due to birth disorders, trauma, burns or disease. Dr Apesos is certified by the American Board of Surgery in both fields and has Advanced Education in Cosmetic Surgery. Dr. Apesos' new website is organized by body region, grouping procedures for the various regions of the body, together in individual menus, while skin care procedures are under another list of options. In the Body section we describe Smart Liposuction - a body sculpting procedure designed to remove unwanted fat deposits from specific areas of the body resistant to reduction by diet or exercise. Also discussed is the abdominoplasty, or "tummy tuck," a surgical procedure to remove excess wrinkled skin and fatty tissue from the abdomen. Less common but with great results are discussed calf and chest implants for males. Dr. James Apesos is an MD, Graduate of Georgetown University School of Medicine, the University of Pennsylvania, Southern Illinois University, and the University of Virginia. As a Fellow of the American College of Surgeons, and a member of the America Society of Plastic Surgeons he has the highest recognition in medicine as a plastic surgeon. According to the American College of Surgeons, the letters FACS indicate that the "surgeon's education and training, professional qualifications, surgical competence, and ethical conduct have passed a rigorous evaluation, and have been found to be consistent with the high standards established and demanded by" the American College of Surgeons and the American Medical association. Dr. Apesos is a member of the American Society of Aesthetic Plastic Surgery indicating significant experience and proficiency in cosmetic surgery. As a Professor of Plastic Surgery at Wright State University he is also recognized locally as both a teacher and colleague in surgery. Dr. Apesos' private practice is located in The Plastic Surgery Pavilion on Far Hills Avenue, in a building designed by master architect Frank Lloyd Wright in 1956. For its current purpose, the building's outward appearance and interior appointments have been carefully maintained to reflect Wright's design vision. "We are very blessed to call this wonderful building home to our practice," Dr. Apesos said. "Frank Lloyd Wright's aesthetic sense of clean, modern lines emerging from the organic structures of the natural surroundings fits very well with our vision of helping our patients look and feel their best." For more information, call 800-435-0331 or visit http://drapesos.com/ . Dr. James Apesos M.D. F.A.C.S., The Plastic Surgery Pavilion, 5441 Far Hills Avenue, Dayton, OH 45429. 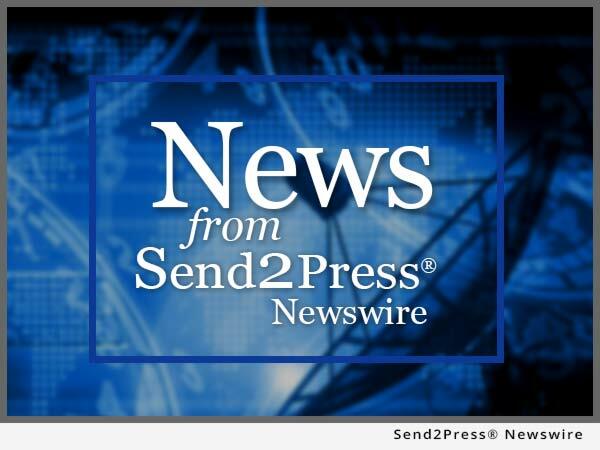 NEWS SOURCE: Dr. James Apesos :: This press release was issued on behalf of the news source (who is solely responsible for its accuracy) by Send2Press® Newswire, a service of Neotrope®.